Up until recently, this poor little puppy didn't have a friend in the world - but then that all changed. 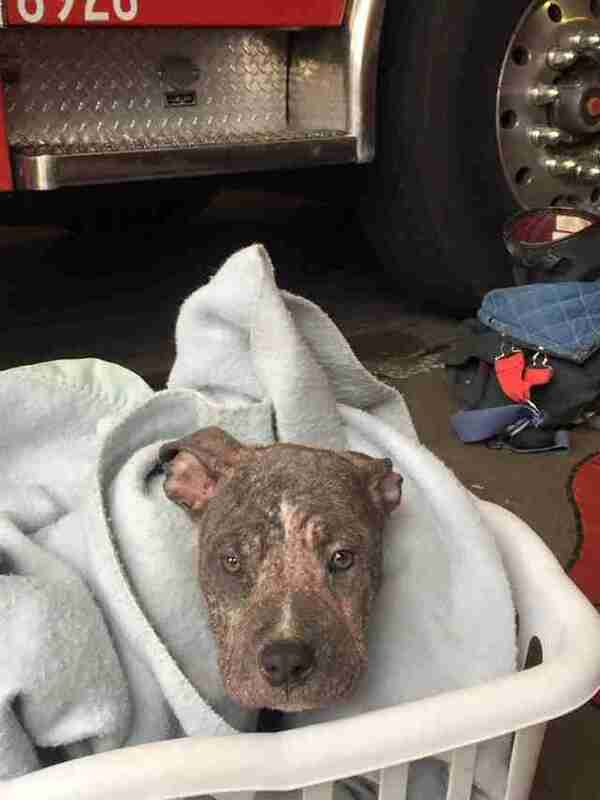 The young dog was rescued over the weekend by firefighter Mike Thawley, of the Sacramento Fire Department, who found her bound up all alone on the side of the road in the rain. 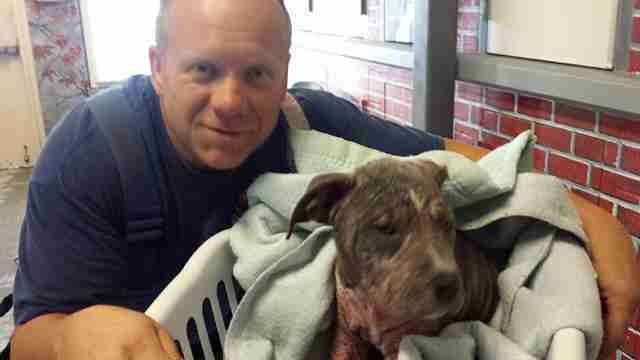 Though it's unclear how she got there, the pup was suffering an untreated skin condition that hints at prior neglect. But at least now she was safe. 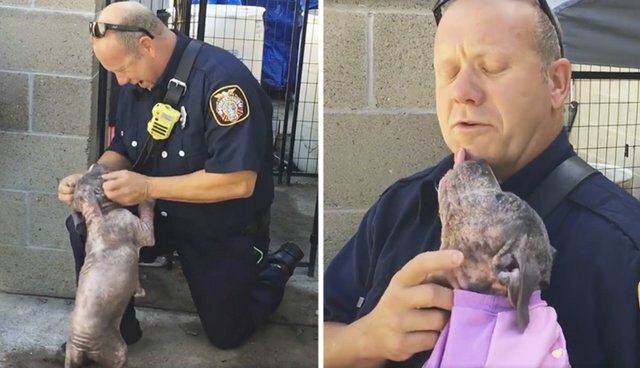 Thawley took the dog, who now goes by Chunkie, back to the station to dry her off before bringing her to the Front Street Animal Shelter for safe keeping. His kindness, however, didn't end there. The following day, Thawley returned to the shelter to pay a visit to Chunkie - letting the sick pup know she wasn't alone in the world, and that he still cared. Their heartwarming reunion was caught on film, with the shelter noting: "As you can see from the video, she is very grateful!" Thawley and his family are considering opening their home to foster Chunkie, though he may have already helped secure her a forever home of her own. Thanks to his visit seen in the video above, which was posted to Facebook, thousands of people are now familiar with this puppy's story - and what a difference a few acts of kindness can make in the life of an animal. Follow the Front Street Animal Shelter online for updates online for updates.